Show off your business with District Bliss! Networking events, quality connections, tons of fun! Creatives + Entrepreneurs | Participate in our Vendor Socials! If you have previously worked with District Bliss // Photos from the Harty, please note that in your application. 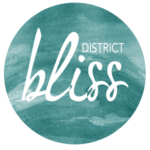 Don’t forget to let us know if you know anyone on the District Bliss team personally!